Baidyanath Shankha Pushpi Syrup can be shipped to Malaysia [ MY ] & Worldwide . Baidyanath Shankha Pushpi Syrup - Express Shipping Transit Time of is 5 to 9 working days from the shipping date. 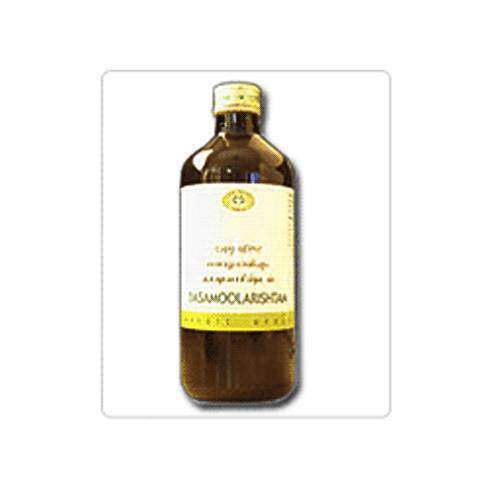 Baidyanath Shankha Pushpi Syrup Product Usually ships within 2 to 4 working days from India. Brahmi and Shankhpushpi the two major ingridents of baidyanath shankhpushpi are known for ages to improove mental capabilty. Modern reasearch has established that it enhances concentration by steadying neuro transmiters. 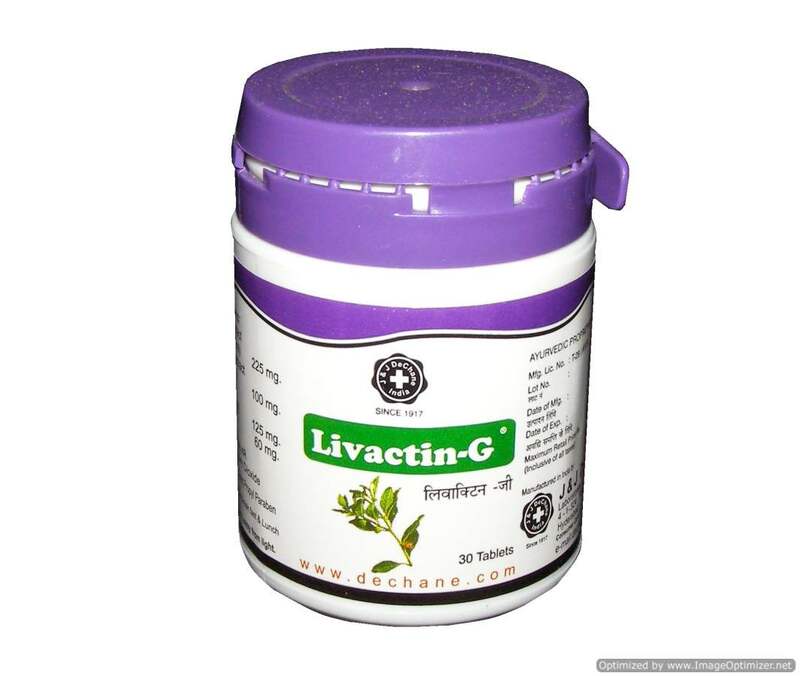 Scientific Research had shown that Brahmi is an active ingridents thats improoves memory and enhances learning ability. 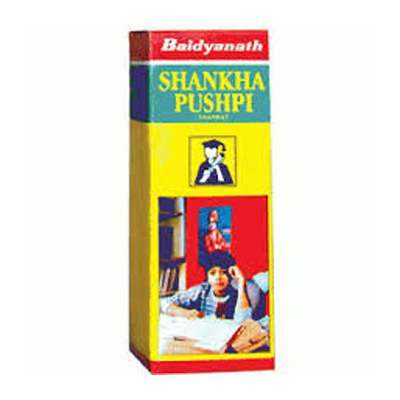 Baidyanath Shankha Pushpi Syrup Syrup ( Brain Booster ) : An excellent memory tonic, It is Very beneficial for school going children. It increases intelligence. Improves memory. Keeps sharp, very sharp and aggressive. Ayurvedic Medicine for Baidyanath Shankha Pushpi Syrup Syrup : In todays competitive environment the burden of studies on students is a causes for concern. There is immense stress on students, which affects their memorising capacity. The problem is aggravated because of extracurricular activities like taking part in sports, running around for tuitions, long hours infrant of the T.V. ect. This puts additional stress on the Brain – Cells. Hence it is essential to boost up memor, & concentration. To ever come these problems of the students Shree Baidyanath Ayurved Bhawan has Introduced Baidyanath Shankha Pushpi Syrup Syrup which is sourced from the Authentic Ayurvedic Text – Ayurved Sar-Sangrah. Baidyanath Shankha Pushpi Syrup Syrup. It is a combination of Shankha pushpi and Bramhi. These two medicinal herbs are known for their Brain tonic action ( Medhya Rasayan ) as per ayurveda. Even modern scientists of Central Drug Research Institute have established their utility in improving concentration, memory and grasping power. Helps to improve concentration, grasping power and ability to recollect. An ideal tonic for students preparing for examinations as it keeps the mind healthy. An excellent tonic to relieve problems associated with heavy burden of studies like headache, anxiety, fatigue, distractibility ect. 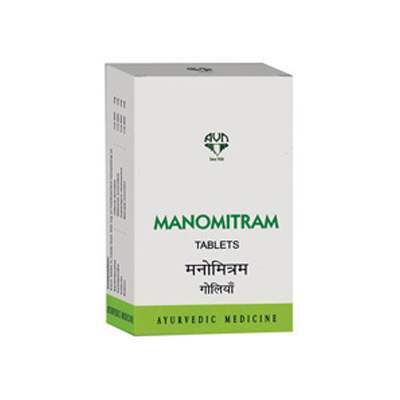 Note : Baidyanath Research Foundation conducted Research work at “Central Institute of Medical Science”. 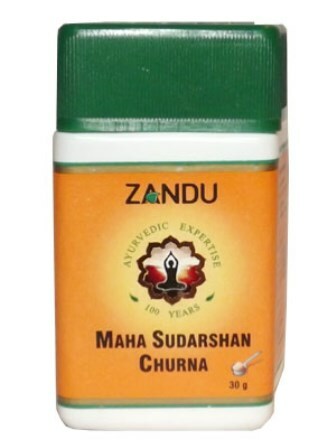 Baidyanath Shankha Pushpi Syrup Conclusion : Shankha Pushpi and Brahmi have an Antioxidant activity and thus improve the function of the brain cells and capacity to recall. Baidyanath Shankha Pushpi Syrup Syrup Dosage : 2 Teaspoonful with equal quantity of water after meal. For better results it is advisable to take Baidyanath Shankha Pushpi Syrup Syrup regularly for three months. In case of students pursuing higher studies and intellectuals like prof, Advocates, Scientists it is advisable to take Baidyanath Shankha Pushpi Syrup Syrup along with Baidyanath Brain Tablet. Baidyanath Shankha Pushpi Syrup can be shipped to Malaysia & Worldwide . IndianProducts.Com.My Ships Baidyanath Shankha Pushpi Syrup Usually within 2 to 4 working days. 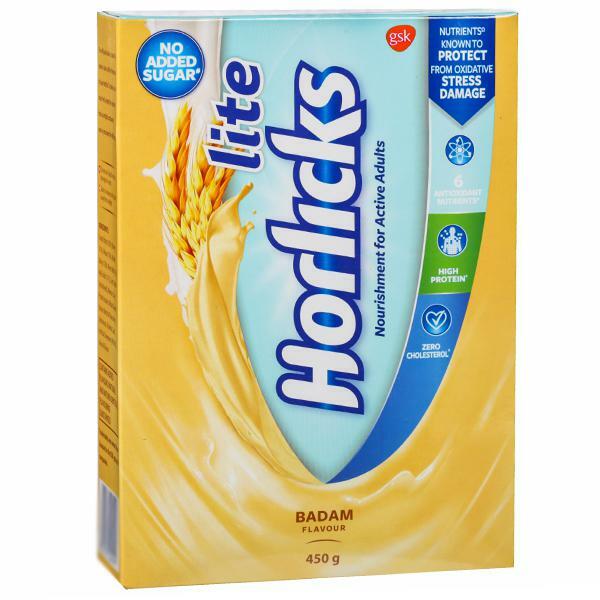 In our e-commerce online stores we have listed the best selling products of top Indian brands at comparatively Low prices including Baidyanath Shankha Pushpi Syrup . Browse our online stores in this shopping cart to get the products / items at Competitive pricing. Shop Baidyanath Shankha Pushpi Syrup for yourself, or order as a gift to your loved ones. Shipped to any place in Malaysia ( MY )& Worldwide. Free and Express International shipping available. 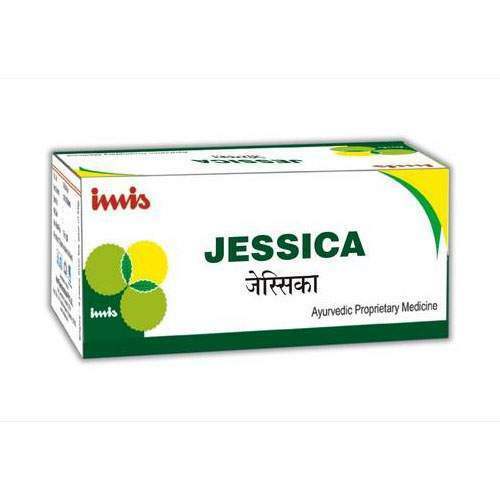 IndianProducts.Com.My is a pioneered online shopping store for Worldwide Customers and today it is the one of the fastest growing shopping destinations for customers on the Internet with thousands of quality branded Indian ayurvedic & Herbal products list including Garnier branded Baidyanath Shankha Pushpi Syrup . As ecommerce evolves, sellers and buyers in are increasingly sophisticated and adventurous, demanding more choice. IndianProducts.Com.My offers Consumers the widest range of products and branded stores, along with the product information and necessary date to navigate & order / buy Baidyanath Shankha Pushpi Syrup efficiently online. We are committed to delivering the world's ultimate shopping experience with high quality of service to the People of World Wide. We ships to Alor Gajah , Alor Setar , Ampang Jaya , Batu Pahat , Bintulu , Hulu Selangor , Ipoh , Johor Bahru , Johor Bahru Tengah , Kajang , Kangar , Kemaman , Keningau , Kinabatangan , Klang , Kluang , Kota Bharu , Kota Kinabalu , Kuala Langat , Kuala Lumpur , Kuala Selangor , Kuala Terengganu , Kuantan , Kubang Pasu , Kuching North , Kuching South , Kulai , Kulim , Lahad Datu , Malacca City , Manjung , Miri , Muar , Nilai , Padawan , Pasir Mas , Penampang , Penang Island , Petaling Jaya , Sandakan , Seberang Perai , Selayang , Sepang , Seremban , Shah Alam , Sibu , Subang Jaya , Sungai Petani , Taiping , Tawau Transit Time of Baidyanath Shankha Pushpi Syrup Pack Product from India to Malaysia ( MY ) & Worldwide is 5 to 9 working days. After receipt of your product Baidyanath Shankha Pushpi Syrup order with completed payment. We will send an order acknowledgement email. Our Executives will purchase the Baidyanath Shankha Pushpi Syrup from the Product Distributor / Authorised Stores / Retail Mall. After shipping your ordered product Baidyanath Shankha Pushpi Syrup we will send you an Products Shipped Email.